This Range Rover can drive itself! Jaguar Land has been working towards creating autonomous vehicles over the past few years. One of the key autonomous technologies JLR has worked on is creating cars that can park themselves. The luxury brand has also developed other connected technology to further improve driver’s lives. 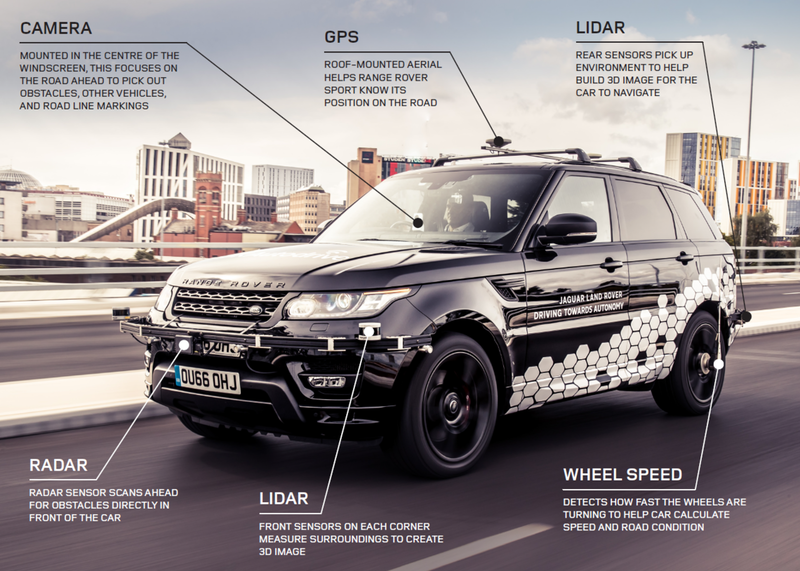 For example, JLR developed tech that allows cars to ‘talk’ to each other and the surrounding environment. Another feature is Emergency Vehicle Warning (EVW) that alerts drivers when an emergency vehicle is approaching and from where. Electronic Emergency Brake Light gives a warning when another connected car brakes heavily. Other features include Intersection Collision Warning, In-Vehicle Signage, Green Light Optimal Speed Advisory, and Intersection Priority Management. Expanding on the success of these new technologies, Jaguar Land Rover has created a Range Rover Sport that can self-drive. It is the first ever self-driving car to complete a lap of the challenging Coventry Ring Road. The Range Rover Sport successfully changed lanes, merged with traffic, and exited junctions at the speed of 40mph. This important feat is part of a twenty million euro government-funded project called UK Autodrive.